"dl" elements are block level elements. "dl" elements can not have text contents. An "dl" element must have one or more pairs of "dt" and "dd" elements as sub-elements. 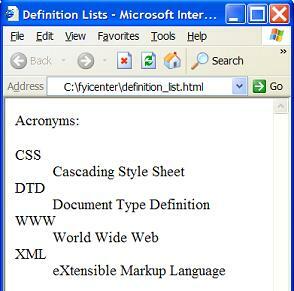 Each pair of "dt" and "dd" elements will be displayed by browsers as a term and a definition.